This sounds really interesting – I have seen some other savoury muselis but not tried them. I wish I ate the same breakfast day in day out but I get bored and want something different. I would really like some savoury breakfast – perhaps fruit with savoury muesli would do me. 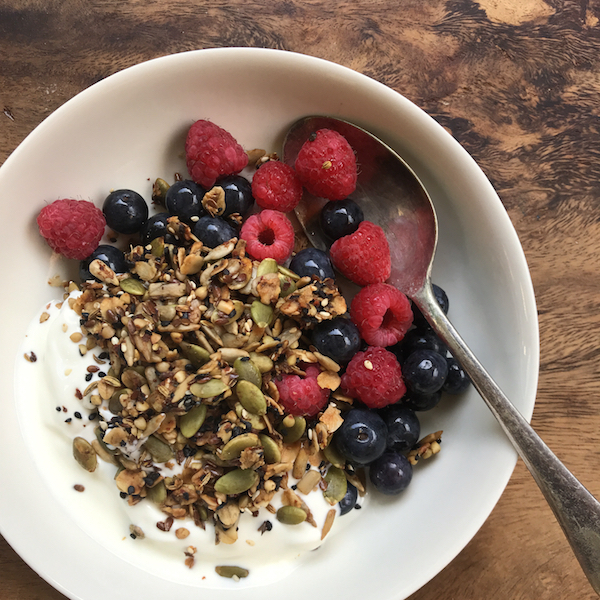 I love this granola particularly the fennel and nigella seeds, which seemed a bit odd at first. I had it this morning with some stewed pear and yogurt and it was so good. I really recommend it.